Our exhaust nozzles with clamping device are available for any required size of dual-pipe exhaust systems – from standard to oversized. The clamping device intend a firm hold of the nozzle on the exhaust pipe of the car. 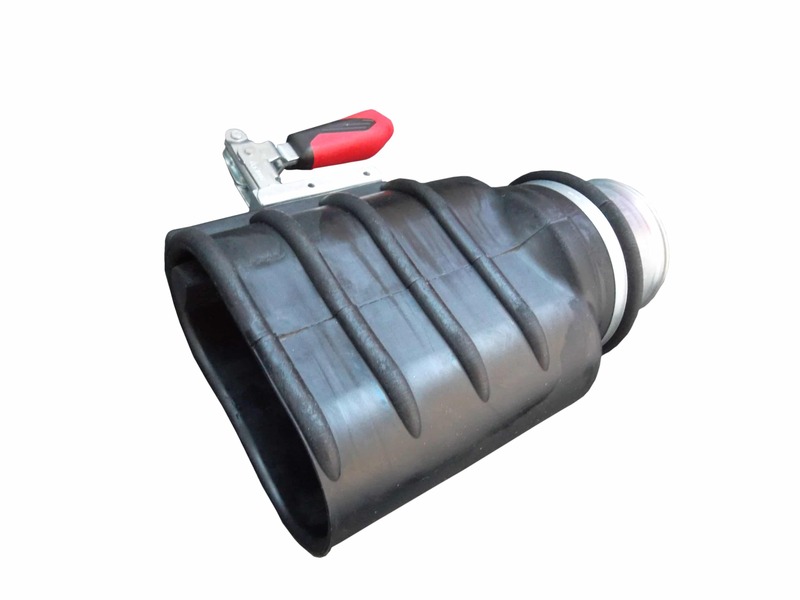 The 60° elbow with double-hinge and safety and safety breakaway clamping device serves as a nozzle as well as a base support for exchange nozzles in case of double pipe exhaust systems.